Guadalajara, capital del estado de Jalisco cuna de algunos de los símbolos de la cultura mexicana, como el mariachi, el tequila y la charrería, es la segunda ciudad con mayor población y más importante de México, conocida de diferentes maneras, como “Ciudad de las Rosas”, “Ciudad de las Fuentes”, “Ciudad Real”, pero sin duda la que a todos conquista es “La Perla Tapatía”. Conveniencia armónica entre el moderno desarrollo urbanístico, la antigua arquitectura y el legado cultural de sus tradiciones, hacen de esta ciudad una vigorosa metrópoli que nos invita a recorrerla y atestiguar las razones por la que despierta asombros y enamora a todos. How to get to Guadalajara? The city of Guadalajara is a sixty-minute flight north of Mexico City or a eight-hour ride by bus. Mexico’s bus system makes travel to any city safe and easy. Mexico is a country with a growing economy. It has a population of 112 million inhabitants, which makes it a very interesting market. Mexico is a member of NAFTA (North American Free Trade Agreement) along with the United States and Canada. These three countries constitute an economic block of great importance worldwide. Mexico also has trading partnerships with the European Union, Asian Pacific Economic Cooperation (APEC), and MERCOSUR (Mercado Común del Sur). With Mexico’s economy and partnerships, studying here is an invaluable opportunity for those seeking to learn from within this important international market. Our University offers housing service aimed on students and international professors during their Exchange period in our city including apartments and host families that will provide an enriching experience. Guadalajara is one of the 3 most populated cities in Mexico. That is why it is really important to know the means of transportation in Guadalajara. You will have to select the right one according to commuting time and cost. 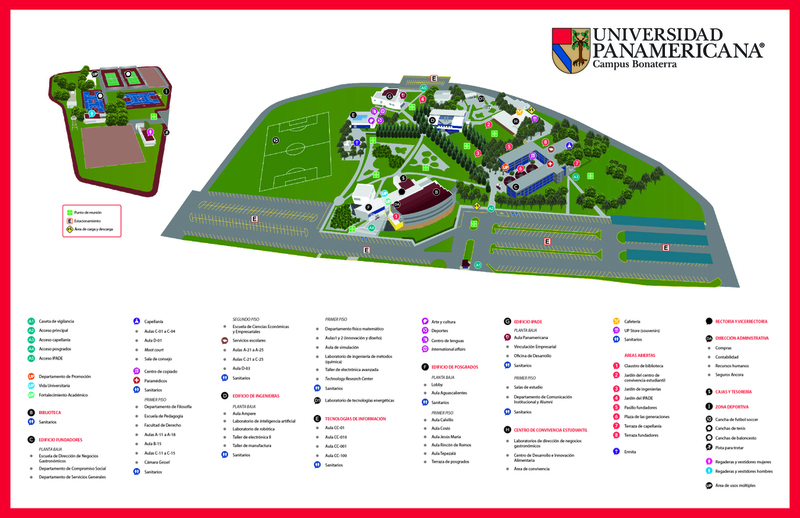 Here are some of the options to get to our campus. Guadalajara's biggest mall, located at the intersection of Vallarta and Rafael Sanzio avenues (just few minutes from our campus). It houses Guadalajara's biggest multiplex cinema, with 20 THX projection rooms and 4 VIP rooms. It has multi-storey parking areas as well as more than 1 square kilometer of open parking space shared with a Wal-Mart and a Sam's Club. Served by bus routes 25, 47 and 629. Over 10 hectares constitute the land of this wide park suitable for the practice of diverse sports. It offers green areas and picnic tables. The final project intends to include an artificial lake. UP is located in Guadalajara, Jalisco. Our state is full of traditions and culture mixed with modernity so we invite you to learn more about our heritage while you visit our country.